Leviton announced today the development of the new Wireless Room Controller System and App, the first and only system on the market compatible with Philips InstantFit LED lamps with EasySmart technology. 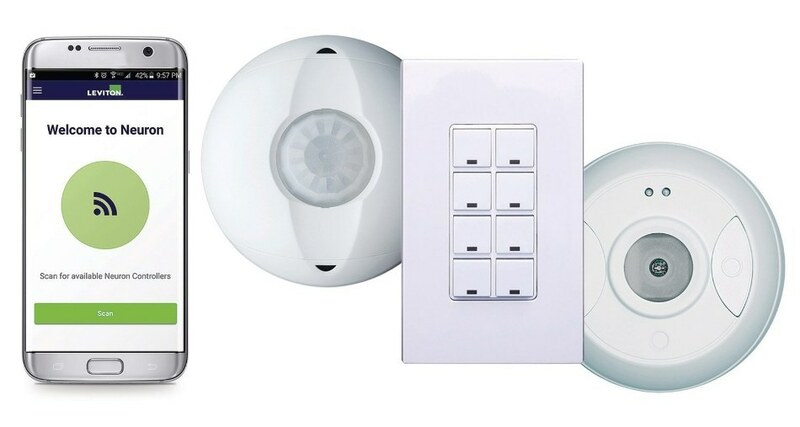 Easy to install controls within this system include keypad room controllers, wireless occupancy sensors and a wireless photocell, enabling LED dimming and control retrofits with no fixture wiring changes. "Leviton is excited to offer the first wireless controls that are compatible with the Philips EasySmart technology," said Richard Westfall, vice president and general manager of Leviton Energy Management, Controls & Automation. "Together, Leviton and Philips Lighting are making product selection and installation simple for commercial users who want to retrofit their lighting system." The keypad room controller wirelessly communicates and coordinates all connected Lumina RF devices and EasySmart equipped LED lamps via a mesh network. Setup and configuration only requires the Leviton App on a smart iOS or Android device. Available in 1, 2, 4 or 8-button models, the keypad room controller (DLDNK) provides dimming and scene control and provides the primary user interface. The keypad can also be used as a remote keypad for 3-way switching applications and customized operation. Wireless occupancy sensors (ZSC04/ZSC15) control the loads directly and can be configured for occupancy (auto-ON/auto-OFF) or vacancy (manual-ON/auto-OFF) sensing. The wireless photocell (LURPC) detects light levels and maintains the daylighting target level for areas receiving ample ambient lighting. Philips InstantFit LED lamps with EasySmart technology convert existing lighting to LED by simply replacing lamps without replacing current ballasts or requiring complicated rewiring to achieve dimming. EasySmart technology allows the lamps to wirelessly communicate to the keypad room controller and dim based on user preference or daylight harvesting settings. "Philips Lighting's approach to smart innovation includes both advancing what is possible with LED lighting and making it easy to install and apply," said Bertrand Vandewiele, LED product marketing lead at Philips Lighting. "Our EasySmart technology, in coordination with the Leviton Wireless Room Controller System, is a perfect example to demonstrate that intelligent, connected lighting and simple programming and installation do not have to be mutually exclusive." The Wireless Room Controller System meets IECC, ASHRAE 90.1 and Title 24 requirements for space/area control, dimming, vacancy sensing (manual-ON/auto-OFF), occupancy sensing (auto-ON/auto-OFF), automatic shutoff and multi-zone daylighting.